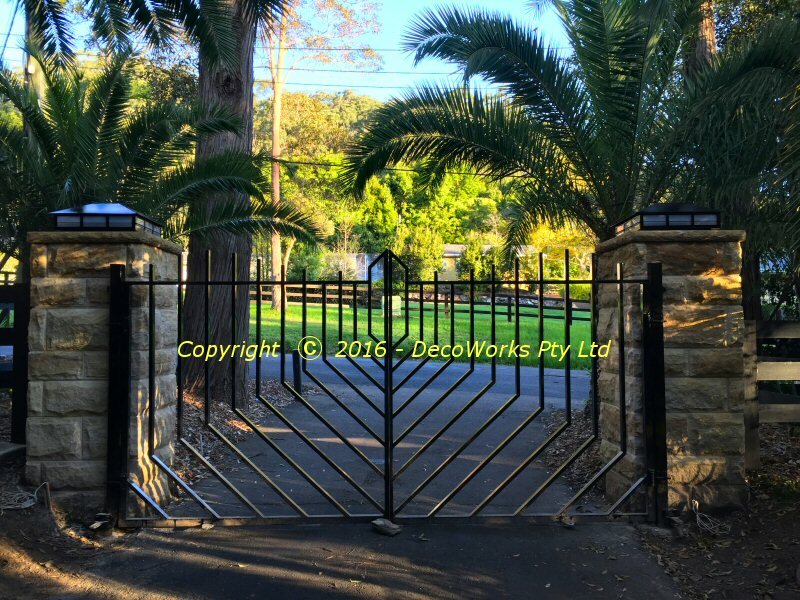 These front entrance gates incorporate a stylised palm leaf design that DecoWorks produced for the entrance driveway to a rural estate which was lined with mature palm trees. 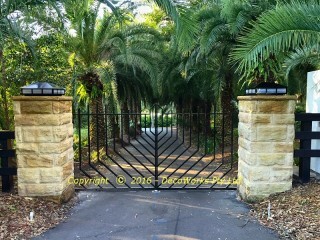 The design also reflected the diminishing perspective of the palm trees as seen looking down the driveway. 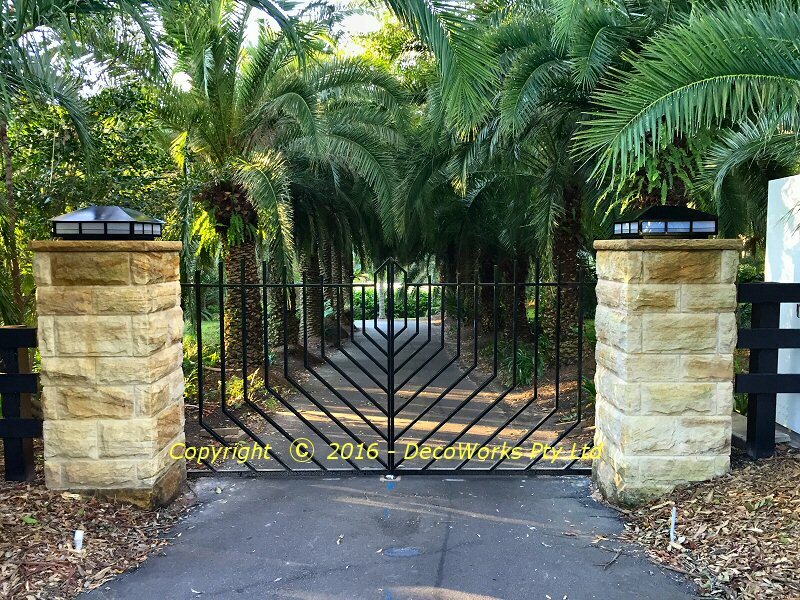 Due to the size of the sandstone pillars custom light fittings also had to be designed to compliment the gate installation. 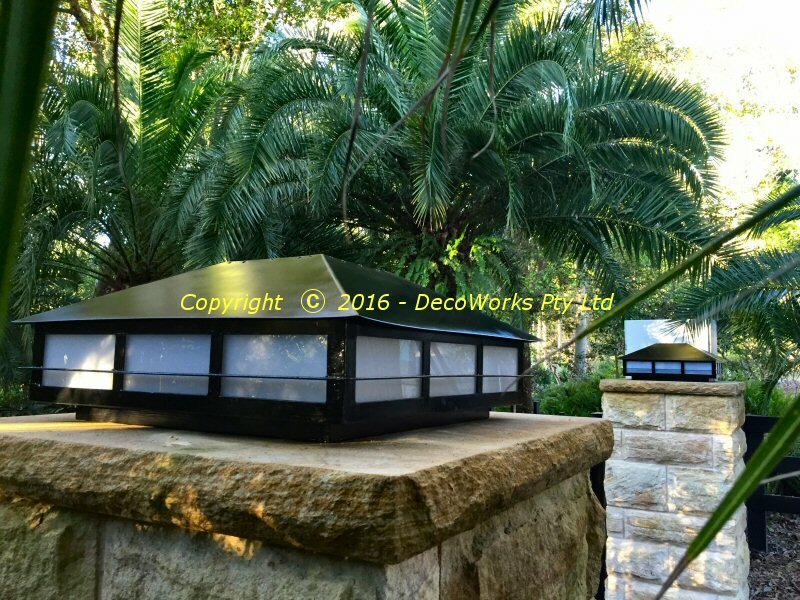 Commercially available fittings were too small for the 800mm square pillars which made building the large light fittings a necessity. 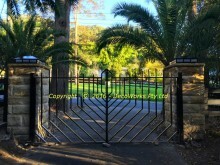 The front entrance gates were constructed using stainless steel to ensure a long and corrosion free life. Adjustable stainless steel hinges were used to compensate for any construction and installation irregularities and also allow for future adjustment if necessary. The custom pillar lights were constructed around a commercially available pillar light to simplify the requirements of making an electrical fitting. The custom fitting is essentially a *lampshade* fitted over the top of the commercial fitting. Details of their construction can be found here. This entry was posted in Designs, Projects. Bookmark the permalink.